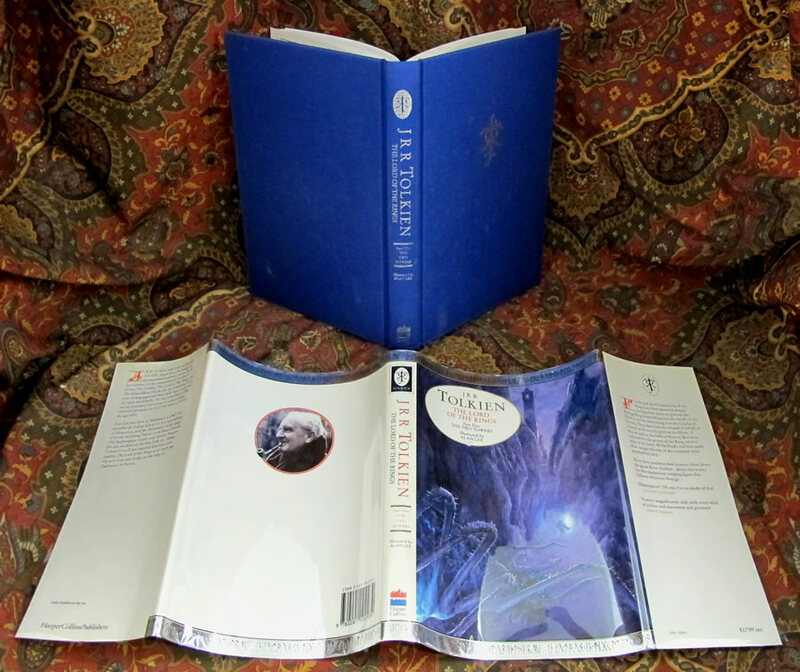 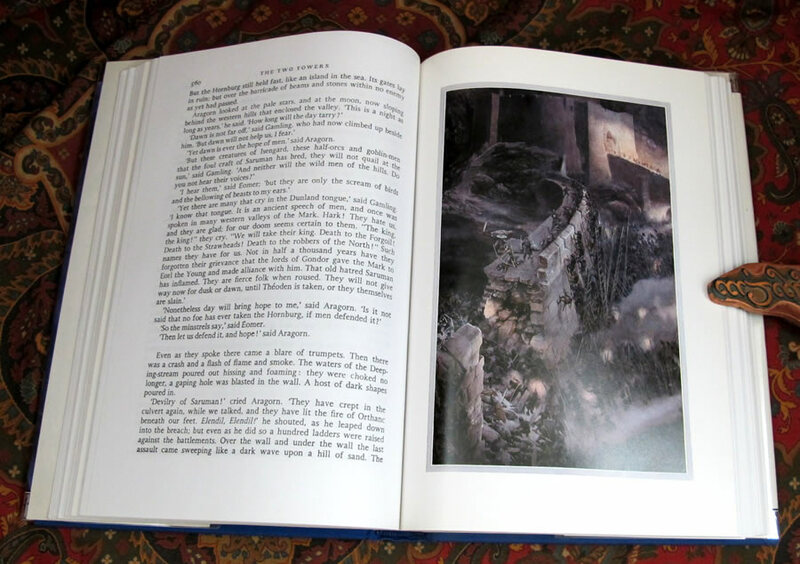 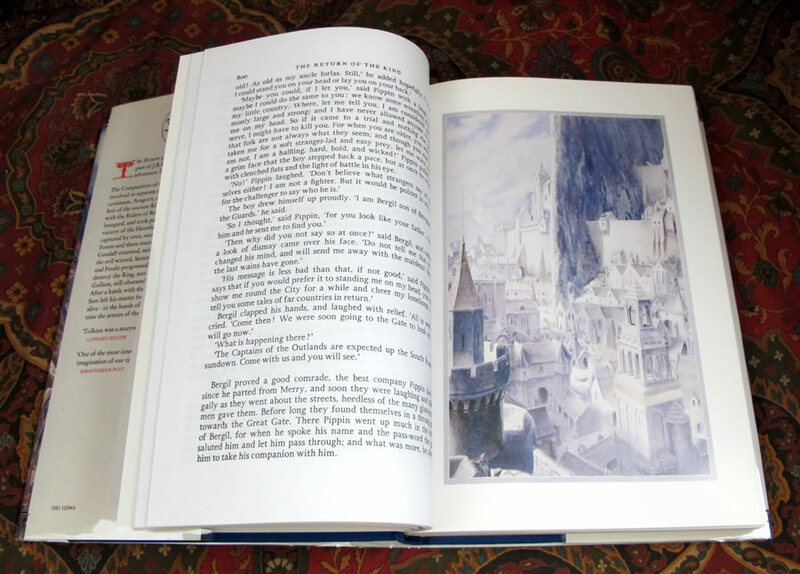 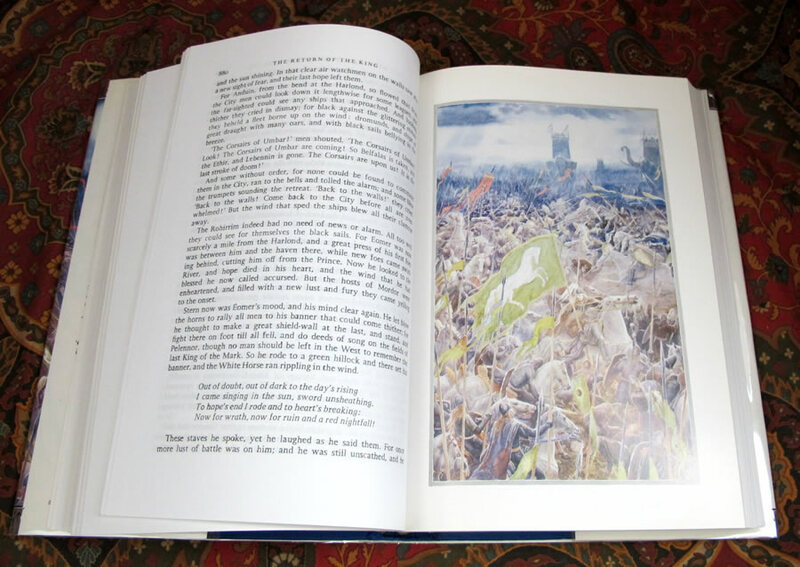 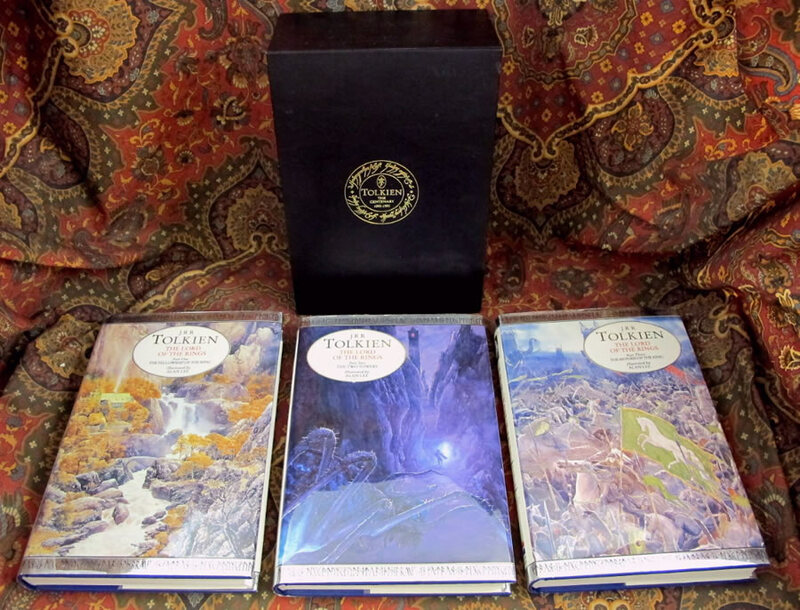 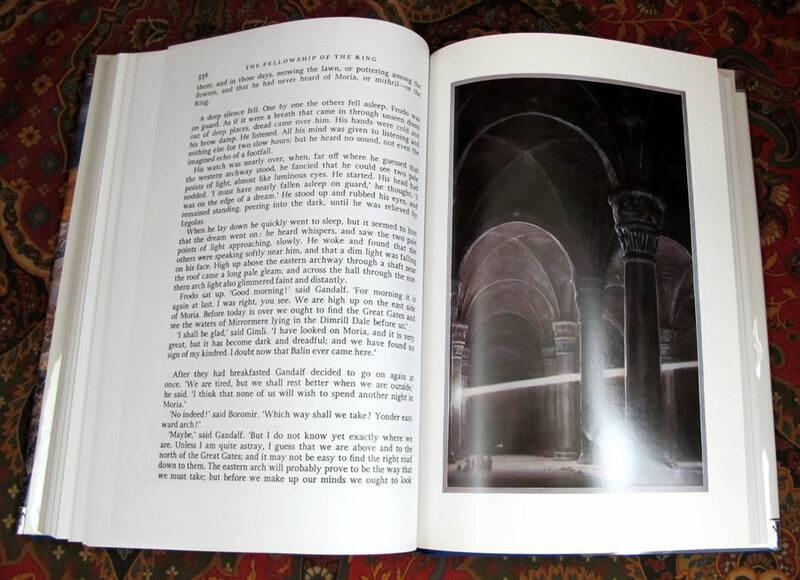 Published by Harper Collins in 1992, a three volume set featuring Alan Lee's Illustrations that were commissioned to celebrate the Centenary of Tolkiens Birth. Only one printing of this lovely set was ever published. 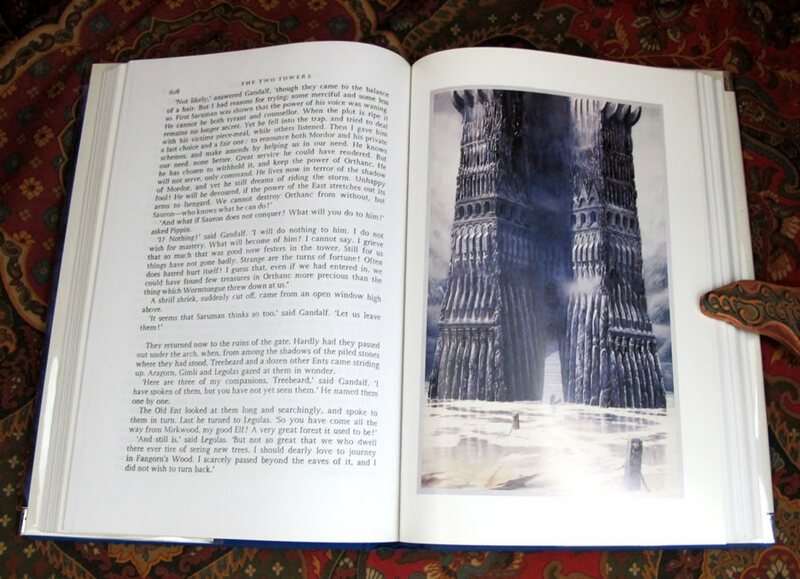 The dustjackets feature some of Alan Lee's most famous illustrations, with a Silver Band to the top and bottom with the runes in black. 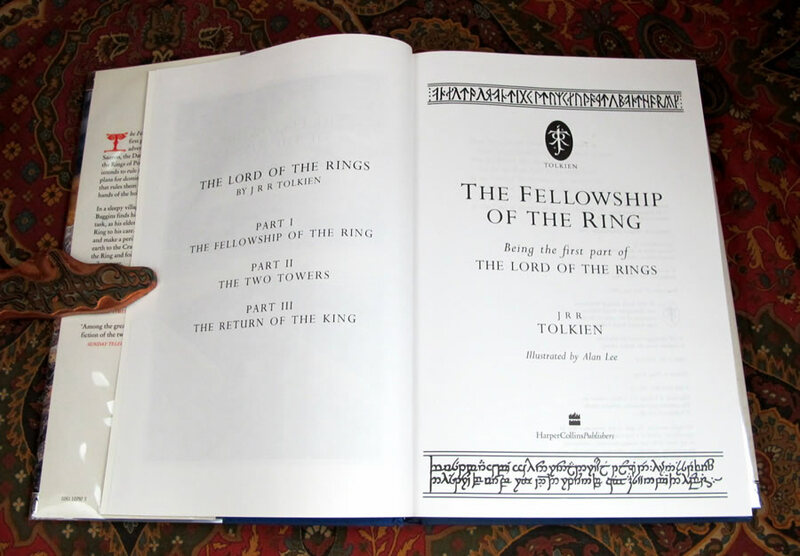 All dustjackets in Near Fine condition with minor rubbing to the silver bands, one small closed tear to the top back edge of the Return of the King. 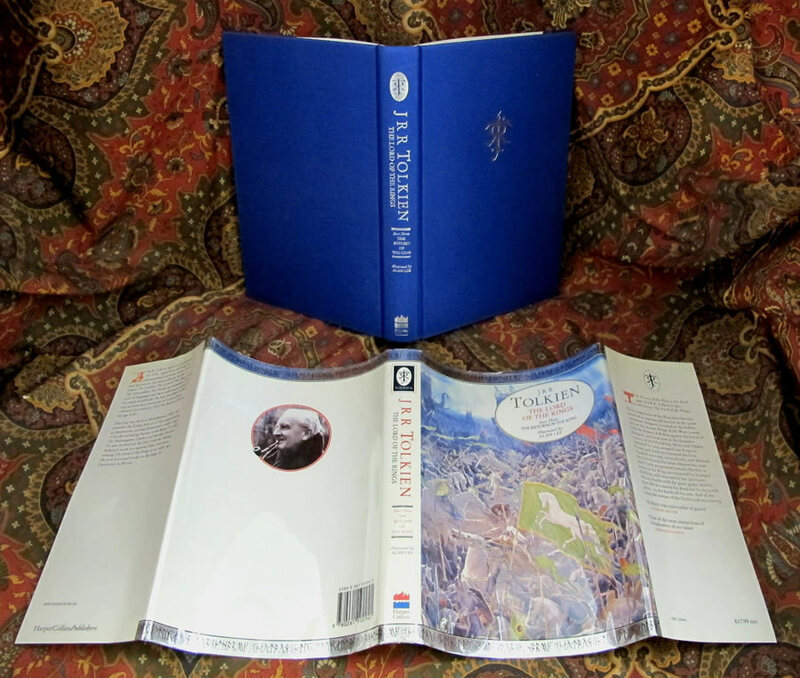 A beautiful unmarked set bound in blue cloth with the JRRT monogram stamped in silver to the front boards of the books. 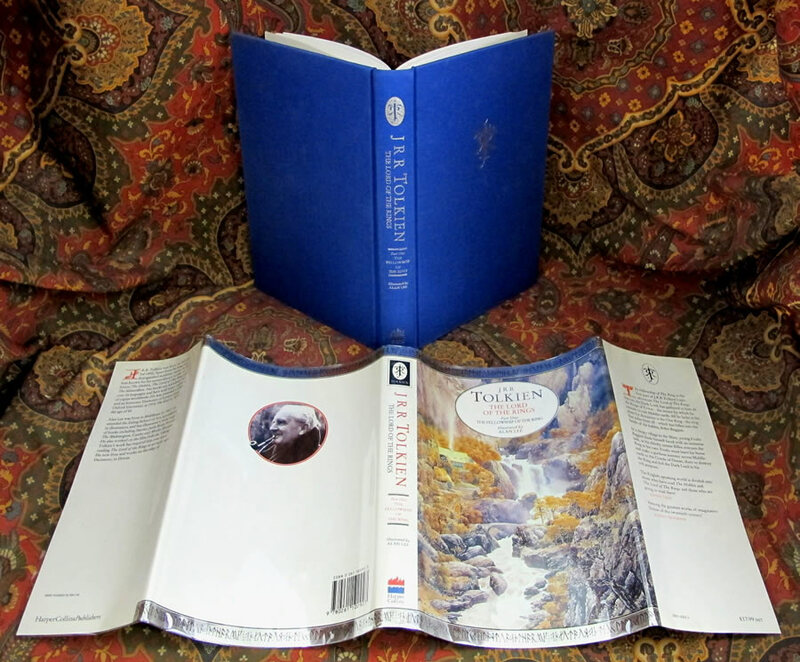 No previous owners names or markings, not price clipped, in extraordinary condition. 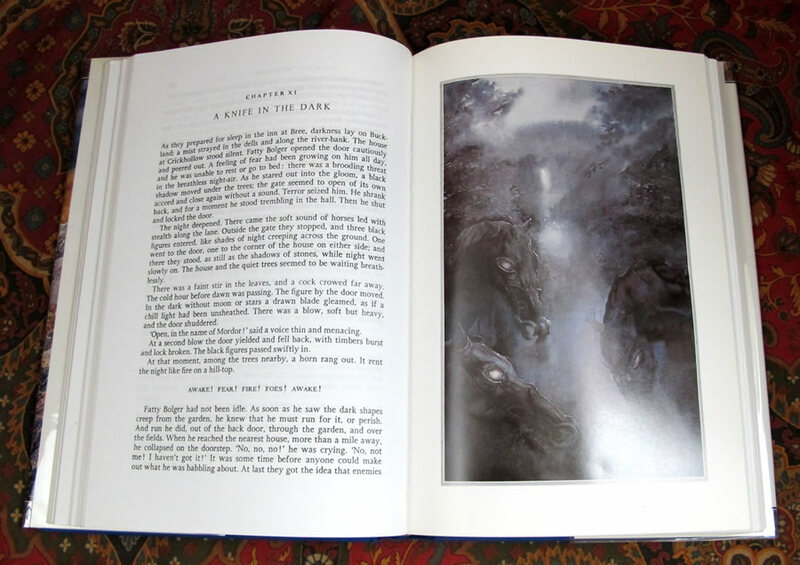 All original illustrations by Alan Lee thru the 3 books. 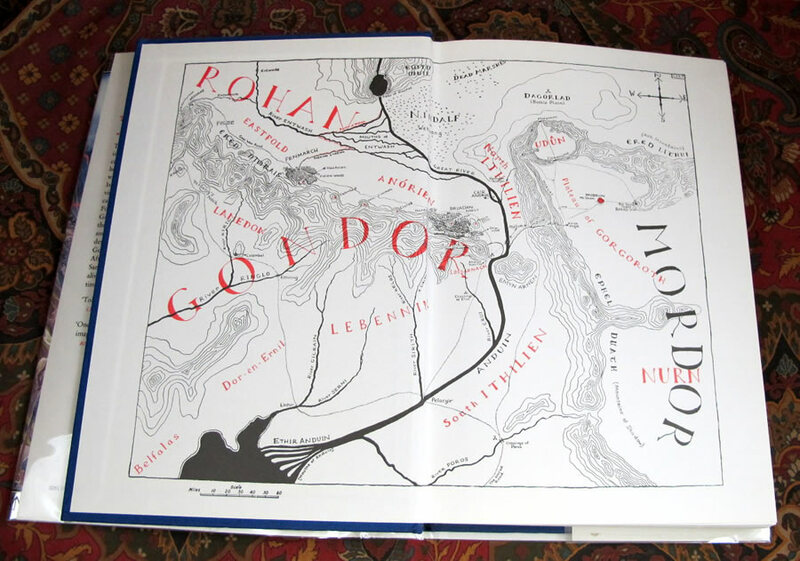 You can follow how the recent movies were first visualized by Lee, and carried thru by Peter Jackson, with Lee's assistance throughout the movie's production. 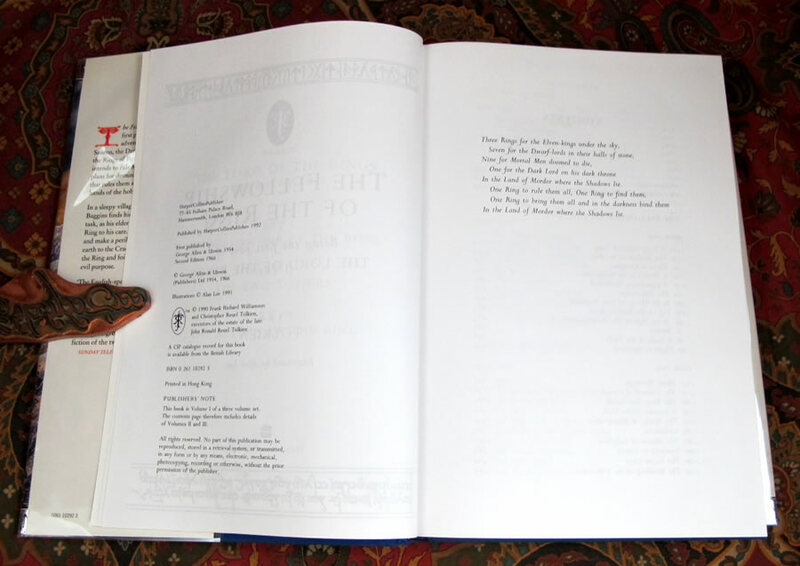 An exceptional set of books, only one printing of these books were ever produced. 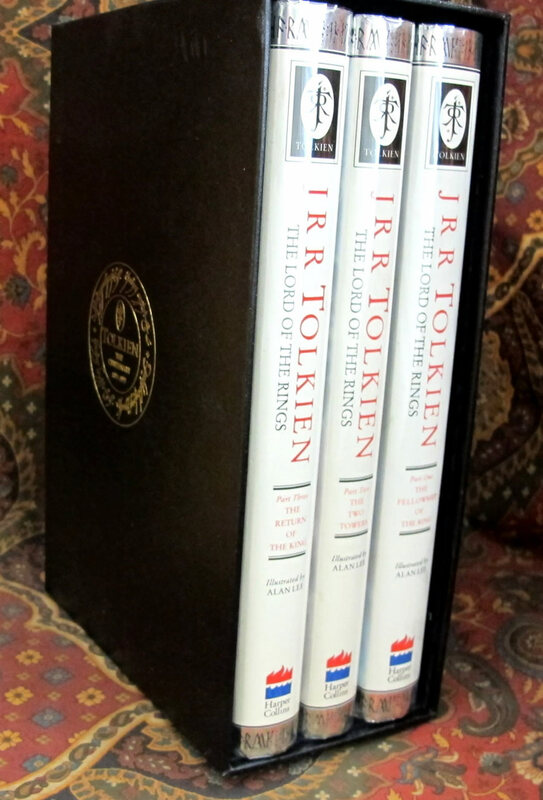 This separate three book set, makes handling and viewing much less of a problem then the single volume editions that were large and awkward to handle. 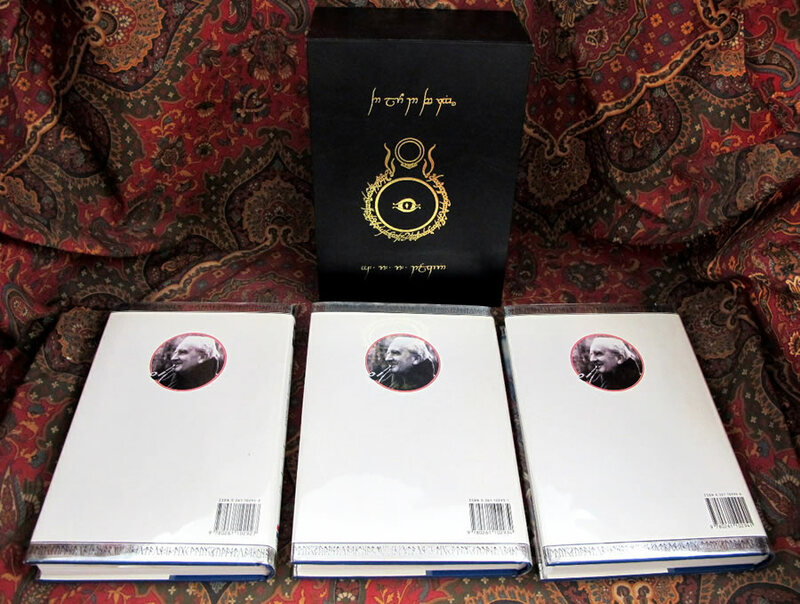 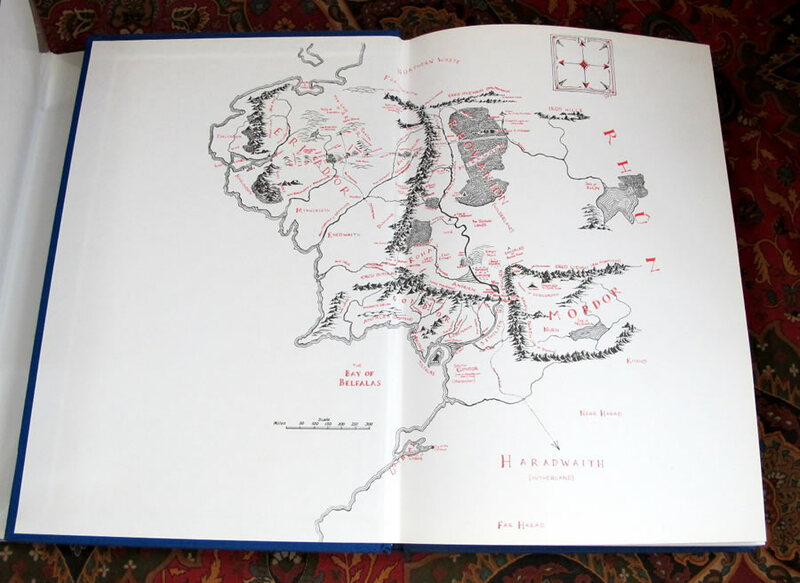 Housed in a custom faux leather slipcase featuring the Centenary Logo to one side, and Tolkiens Ring & Eye device and Tengwar Title and Author to the other.